When winter arrives, and it starts getting snowy, I love to get outdoors so I can snowshoe on the local trails and the mountains within the area. In a few hours, I am able to enjoy the winter’s solitude. However, this is not possible without using the best snowshoes you can ever possess. If you have never engaged in this kind of activity, I suggest you try it. 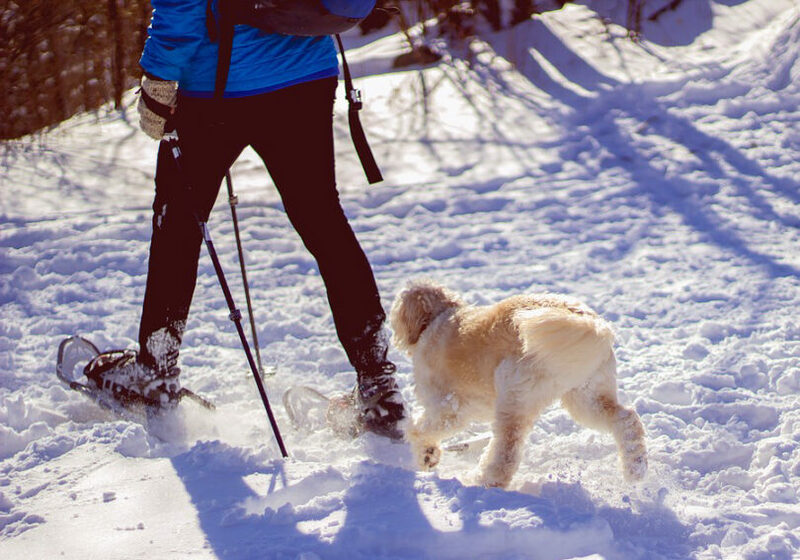 Snowshoeing is considered to be more strenuous than hiking, and therefore, it is essential to begin slowly on level trails and increase your endurance over time. However, acquiring a pair of poles and snowshoes can be quite costly, so you have the option of renting gear, although it’s more satisfying to have your own. You do not require any special clothing to take part in Snowshoeing except for your waterproof boots. The leather hiking boots are also an excellent option, but these have to be worn with wool socks to retain heat and keep your feet warm. You can also use higher gaiters to keep the snow from finding its way into your boots and keep your socks dry. Apart from that, you can wear a winter hat and light gloves. Your body will be able to generate additional heat, and you will be able to stay warm throughout your Snowshoeing adventures. Most snowshoes have a simple step-in binding system and straps that ensure your boots are securely fastened. The fastening is done on the lightweight plastic decking that is attached to a tubular frame on the snowshoe. The plastic decking’s function is to prevent you from sticking (Postholing) in the deep snow. Post holing can be exhausting if you have to hike long distances and this can drain most of your energy making Snowshoeing difficult for you. Walking on a rolling or flat ground while on your snowshoes is pretty much straight forward. Nonetheless, as you begin taking on more demanding grounds, you will need to use your instep crampons and your toe for uphill traction. To ascend a steep slope, you can kick your toe front into the slope, then step down to create a full contact step. 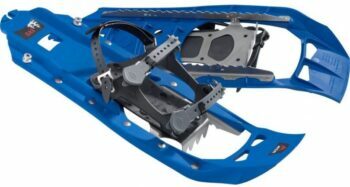 This will enable you to plant your crampons into the snow to facilitate a stable and secure footing. Poles can also add leverage and support when going up the slopes and trekking in the wilderness. 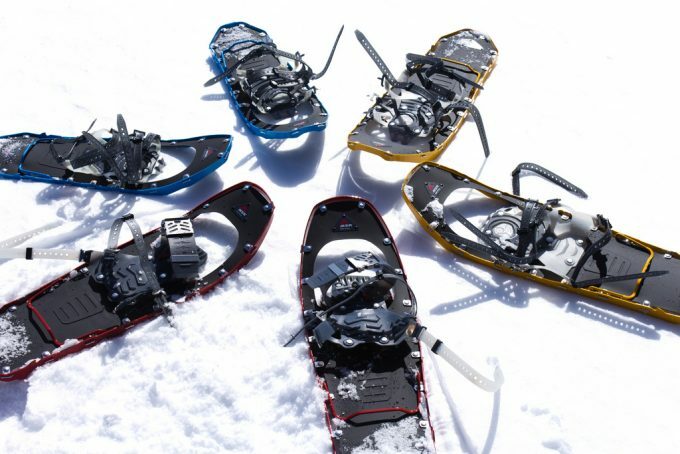 In this article, we will show you how to choose the best snowshoes and give you some of the best models available in the market. So read on! Unlike other outdoor winter activities, Snowshoeing is affordable and easy to learn. 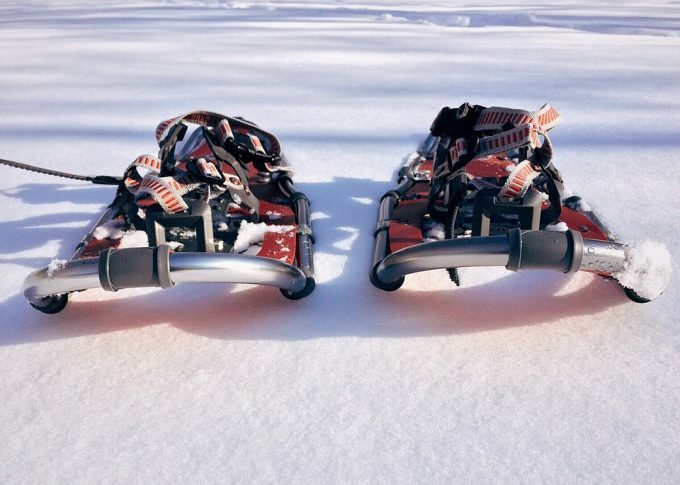 If you are thinking about getting a pair of snowshoes, but you do not know where to begin looking, this guide will help cover what you need to know about snowshoes. 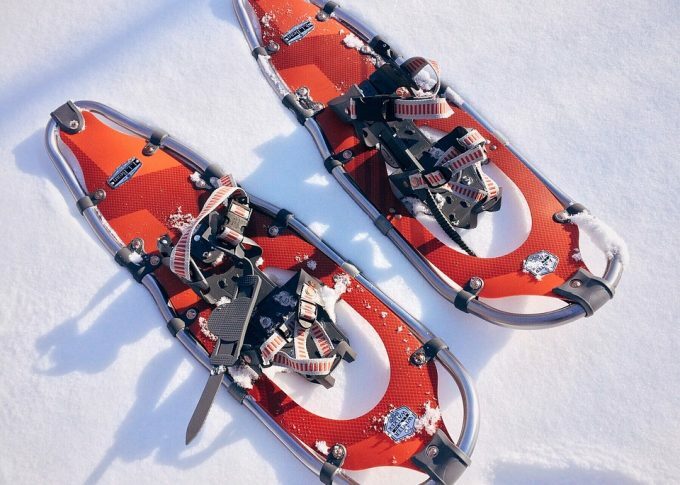 Snowshoes are made from two main frames: composite and aluminum. The former is usually better and compact for icy or snowy conditions. The Aluminum-framed shoes work better in deep powder, but you can attach the tails to the composite shoes to help in floating. Making a choice between these two material frames will highly depend on the kind of terrain you will be traversing, whether packed snow or deep powder. The most significant factor when you are choosing a snowshoe is the weight. For that reason, before you can buy a gear of this kind, it is imperative to check the available specs. Most snowshoes come with their listed load so you will have to determine your weight and account for the gear’s weight as well. Your weight should be proportional to the size of the snowshoe. If you are large, the gear should be large as well. The composite types are compact – the 22 by 8-inch size is standard – and you can include the tails to extend their length and create more flotation. In addition to that, you should know that the sizes of snowshoes vary by gender. The ones designed for men are often larger so they can hold larger boots and carry heavier weights. 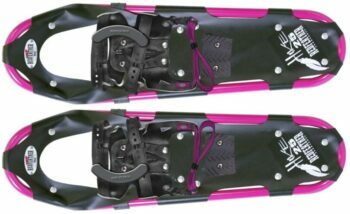 The women’s snowshoes are narrower and smaller, which prevents women from stepping inside the frames. Binding is the most significant component of a snowshoe. It should be intuitive and easy to use, comfortable in all conditions, provide support, and should be able to transmit the energy to the traction with every step you take. With a good binding, you will be able to get the control and response you require and get a huge confidence to climb or descend any terrain without the fear of exhaustion. To enable maximum flotation, the snowshoes should be well-balanced to distribute your weight across the whole shoe. With the right design, you will be able to get out of the snow easily, so you will not have to work hard walking, hiking or climbing. Platforms should be based on the shape of your feet – narrow at the heel and wide at the ball – so it can give you the comfort you deserve when traversing through the snow. Instead of waddling, a good platform design will enable your feet to clear apart with every step, creating a natural and smooth stride, and allowing you to focus on your adventure. An excellent snowshoe should provide you with the right amount of traction to help you navigate through the snowy mountains and terrains. As you walk, your whole foot is engaged, shifting the weight for traction and balance with every step. For that reason, the teeth and claws of the snowshoe should dig at the ball, the heel, and the toe so you may gain complete control of your movement. 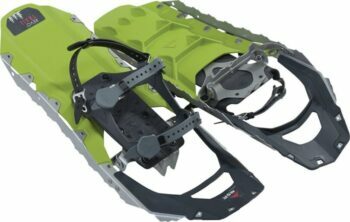 Here in this section, we have selected some of the top best snowshoes available in the market today. So read on to choose the one that suit you best! Special features: Unrivaled traction, unrivaled traction, hyperlink binding. Description: Packed with the latest technology, the MSR Lighting Explore Snowshoe represents a great leap in Snowshoeing performance. First, the Axis Gait Technology makes it possible for you to adjust the bindings independently of its frame, enabling an efficient, parallel tracking, regardless of your toe-in, toe-out stance. Additionally, the new Hyperlink are the easiest and most comfortable bindings with the Ergo Televators saving you on the steeps. The aggressive 360 Degree Traction and the Modular Flotation tails give you the versatility and confidence you require to enjoy you’re the broad range of experiences with the snow. However, manufacturers have identified some limitation with the hyperlink binding which you should know about before you can decide to buy the Lighting Explore Snowshoes. Its front strap is short, and inasmuch as it could fit over a single layer insulated boot, it is inadequate to fit over pack boots or larger volume hiking boots. Somewhat narrow for deep powder. Related: If you want a good quality bag to keep your snowshoe when going for a hike, then you can check out the MSR Snowshoe Bag. Description: The MSR EVO 22 Snowshoe remains a favorite among snowshoers all over the world, providing MSR’s dependability, and designed for the trail. With its traction bars cast into its Unibody deck, it provides the grip required for even the modest slopes in conditions that are less than ideal. The snowshoes offer control and stability, making it possible for you to trek your way through the snow with less energy and resistance. Its weather-resistant DuoFit binding delivers control on rolling terrain, making the gears best suited for trail walking and all day use. They also ensure ample, freeze-proof security, making it easier to accommodate different footwear. The brake bars and steel traction are molded directly into the decks of the snowshoe providing a secure and long-lasting grip. Its Modular Flotation Tail allows you to maneuver easily in packed conditions, with an on-demand flotation option of 6-inch tails. The tail addition is an excellent solution for carrying heavier loads or powder trekking. Related: If you want a gear that can give easy and complete field maintainability to you snowshoes, then you can check out the MSR Snowshoe Maintenance Kit. Description: Designed for women, the Atlas Elektra 12 Series Snowshoes gains from Atlas’ wide study into the biomechanics of women. The 7075 ReactiV aluminum is shaped with the outside rolling bends to form a tapered tail and narrower waist to allow for your natural stride. Its padded Wrapp Pro binding gets rid of pressure points to maintain circulation and extremities, and its FlowTape Silicone straps slide easily through its buckles even when the mittens are on. The Spring-Loaded Suspension the rails and prongs of the heel and toe crampons a much deeper penetration, providing you with the traction you deserve. The Duratek decking helps keep down the weight, and the climbing bar will make it easier for you to charge to the summit. The Holey-I toe crampon, as well as the Advanced Aft Traction, will give you a secure traction traversing, ascending, or descending. 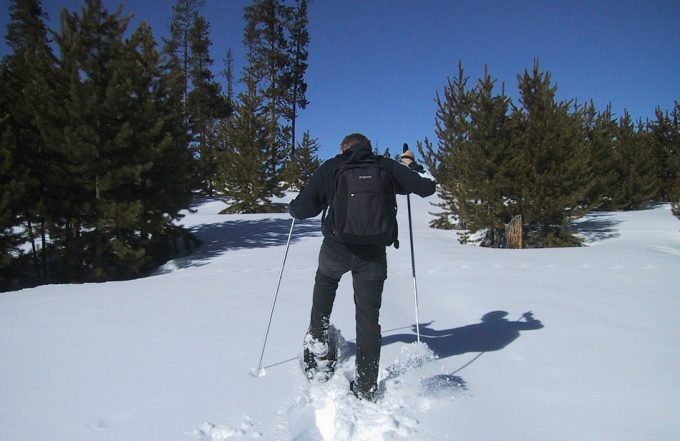 The snowshoes are much easyer to walk on hard pack, thus making them perfect for trail walking, hut trips, day hiking. Related: Give you snowshoes a little care with the Atlas Snowshoes Unisex Deluxe Tote Bag. Whether for storage or transport, this durable tote bag is really great! Description: The Chinook Trekker Snowshoes offer great comfort and traction on moderate terrains and packed snow, which are great for hiking through the forests and trails. The gear is made of strong and lightweight aluminum frame which are ergonomically designed to create comfort and ensure easy walks. The Trekker Snowshoes feature binding and UV resistant polyethylene decking, easy-to-use freeze resistant bindings that are simple to adjust and give a secure fit even when you have your gloves one, and heel straps with fast release buckles which secure the foothold. 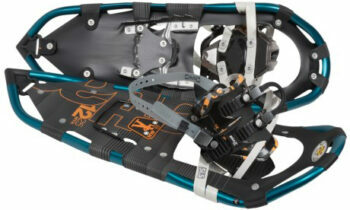 Its heavy duty aluminum crampons are able to rotate freely to get into the snow and allow tail drop to shed the snow. The Trekker come with a bag that has adjustable straps, mesh ventilation windows, side handles, and Velcro pole carriers. 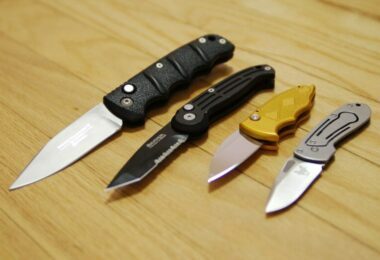 They also come with a limited lifetime warranty so you will not need to worry about repairs in case they get damaged. Sketchy form quality, especially the crampons and bindings. Related: If you want to make carrying your snowshoes to your hiking trail a comfortable one, then you can check out the Tubbs Snowshoe Bag L 10×36. Description: Whether the trail’s condition is slush, ice, or crust, you can trust the all-condition, durable and excellent MSR Revo Trail Snowshoes to take you through that snowy terrain. Their deck combines the advanced traction walls with a unique torsional flex of the plastic to establish a solid control. Revo’s sleek simplicity is facilitated by the Duo Fit bindings to provide you with essential security despite the character of the trail. The rugged construction of the Revo Trail withstands frequent use, enabling continued use of the snowshoes seasons after seasons. For individuals who feel that the traction on MSR Lightning Explore is extreme, MSR Revo is the appropriate snowshoes for you. They brandish the same aggressive horizontal crampons that glide by the external casing, along with two major teeth beneath the toes and feet balls. Despite everything, you’d have sufficient traction to explore almost any navigates on the off-trails. 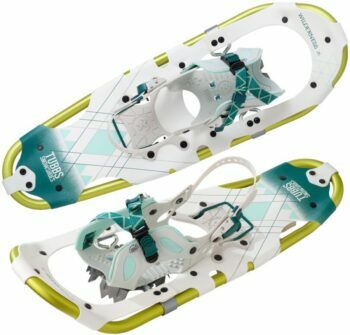 In any case, the fact that the heel crampons are absent in this snowshoe model, you should be more cautious on the downhills. The good news is since they are stripped of the crampons at the heels, you can anticipate that it will arrive at much lower cost. Related: If you need a nice quality bag to keep your snowshoes while going for a hiking trip, then you can check out the MSR Snowshoe Bag. 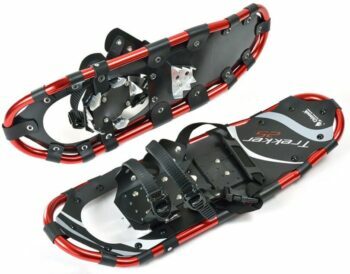 Description: The Tubbs Mountaineer Snowshoe are well known for their traction ability. The heel and toe traction are of two different types: the python crampon and the Tubbs’ Anaconda crampon. The toe crampons (Tubbs’ Anaconda) open horizontally while the heel crampons (Python) open laterally. This enhances traction on the steep terrain while going up and down the hill and while sidestepping or traversing. Overall stability is obtained from the non-uniform fitting of the crampons. The large surface area of the Tubbs Mountaineer makes them ideal for use in deep snow environments. With these shoes, the on and off Snowshoeing will always feel secure. Although they are regarded to be among the heaviest snowshoes, Tubbs Men Mountaineer can still keep you afloat in the deep snows. This design excels when you are carrying heavy loads which demand larger surface areas like hut trips and backpacking. Overall, they are the best gear to use for both advanced and moderate backcountry expeditions. Related: If you want a snowshoe poles that can provide security and stability while snowshoeing on uneven, steep and icy terrain, then you can check out the Tubbs 2 Piece Snowshoe Poles. 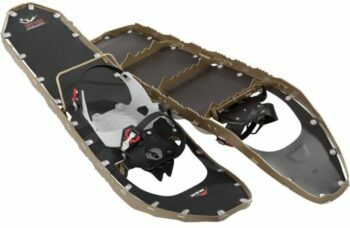 Description: A typical round tail shoe is a better gear for the deep snow and the Redfather Recreational Series Snowshoe with SV2 Bindings are quite easier to walk in. Snowshoes designed for women are approximately an inch narrower than the men’s shoes as women generally have smaller strides than men. When planning to carry a pair to your snowshoeing adventure, make sure to include your weight so as to ascertain the type of snowshoes that will be suitable for your case. The boots you will wear will depend on their intended purpose. It is recommended that you pick warmer boots for hiking or walking, and lighter boots for running or aggressive snowshoeing. The Redfeather snowshoes are durable, lightweight and give great traction. The lightweight arrangement 7200 aluminum gives strong edge combined with decking of TX 35 tear stop polymer that preserves its softness at beneath zero temperatures. They feature an anti-shock component to decrease weight on your joints so as to provide comfort during your hiking trip. The “sure grip” crampons produced using stainless steel give astounding soundness and quality. The RedFeather snowshoe set incorporates adjustable poles, which have removable snow baskets. This enables you to utilize them for climbing and the set is finished with a convey case. It’s pleasant to know not that you are not only getting a great pair of snowshoes, however, you can feel great helping a noble purpose! Related: If you want to make carrying your snowshoes to your hiking trail a comfortable one, then you can check out the Tubbs Snowshoe Bag L 10×36. It helps you to transport your snowshoes with ease. 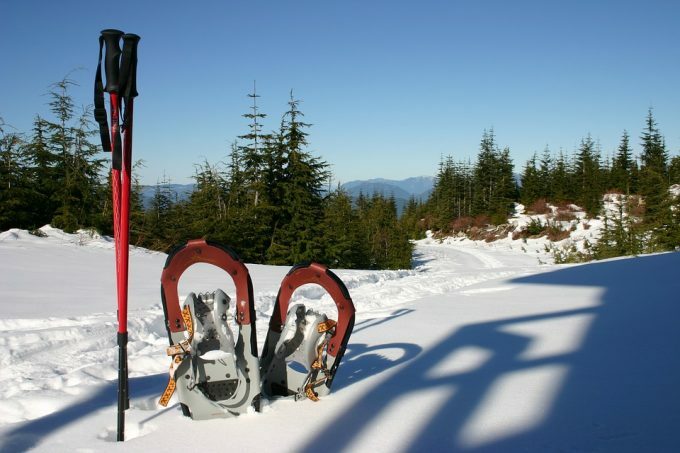 Description: The Tubbs Wilderness Snowshoes are impressive backcountry/hiking snowshoe from the reputable manufacturer of snowshoes, Tubbs. The gear has great flotation/weight-to-size ratio and is fitted with an easy on and off the buckling system. They also have a heel lift for extended climbing and their brilliant traction make it possible for you to enjoy hiking the trails covered in snow. These snowshoes are an excellent option for use in almost all terrain but the steepest one. They are lightweight and have comfortable bindings which are easy to enter or exit with gloves on. The Tubbs snowshoes have a lot of flotation to take you anywhere you want to be. This snowshoe is a great choice if you need to move up from easy-rolling trails to more difficult rolling trails. Featuring simple to utilize bindings, the Tubbs snowshoes are perfect for newbies to intermediate winter explorers. The blend of Soft Tec decking together with oval aluminum outlines feels somewhat heavy, but they do give sufficient buoyancy on knee-profound soft powder. You will not likely get yourself post-holing as you stroll with them. If you hope to enjoy the best buoyancy on deep snow, the Tubbs wilderness snowshoe is the best for you! Related: If you want a gear to transport your snowshoes in one hand, you can try out the Tubbs Napsack. Built of a strong nylon canvas and mesh which enable your snowshoes to dry. If you are at the point where you have been Snowshoeing for a while and feel that you are confident you want to purchase a pair, you need to remember that your weight and that of your gear are the most important factors to consider during your selection. This aspect determines the size and the surface area of the snowshoes you would require to remain on top of the snow. 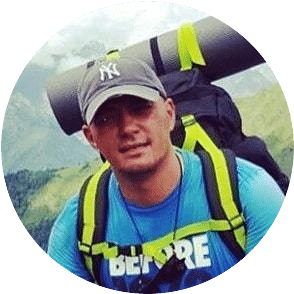 Additionally, the guide provided in this article will give you an idea of how to choose the snowshoes that fit your intended application. If you are a serious hiker and snowshoer, you should consider trying the snowshoes mentioned above before you make your final decision on what to purchase. The companies have some excellent product selections which are sturdy for heavy-duty application and will be able to resist getting damaged. 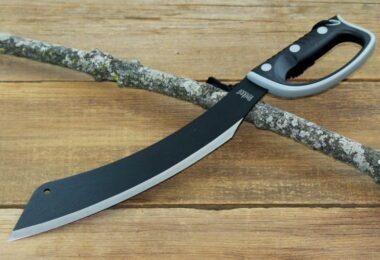 However, if you intend to use them for recreational purposes, you may consider the snowshoes from Tubbs as these are less expensive and well made. So, did you find this article useful? 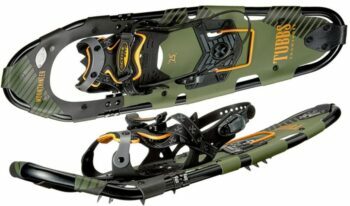 Are there any other snowshoe models and designs you think should be added to the list above? Please let us know about your suggestions and what features make your selections exceptional. We will be waiting to hear from you.